American Express has reported issues with their eCertificate system where some customers have had trouble viewing, printing or using their eGift Cards at retailers after logging into the system. I came across this issue when I tried using a $100 eGift Card at a retailer today, only to be told that the transaction was declined — that there was no value on the gift card. I tried calling the retailer on the gift card to confirm that there was a balance, but their automated system told me that it was having trouble accessing the remaining balance. Looking back, this was key information — the automated system didn’t definitively say I didn’t have money on the card, it just told me that it couldn’t access the information which foreshadowed the problem at American Express. As far as I could recall, the certificate I tried using was never redeemed so I racked my brain as to what may have happened. I assumed that there was a slight chance that I may have redeemed the balance at some point and had forgotten, but I am usually pretty good about keeping mental note of these type of things. After contacting the retailer directly, I phoned American Express Rewards about the troublesome $100 eGift Card. The agent told me the system was having trouble and that they had been receiving many calls from customers that their Gift Cards weren’t showing up in the system. Some couldn’t print out the certificates and others, like me, were told that the balance of the gift card was zero — when in fact there was money on the cards. The problem was their system not resolving the 19-digit gift code. 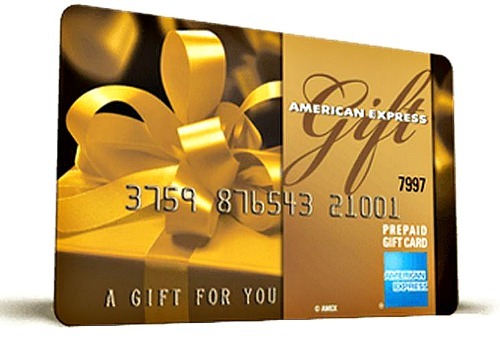 If you’ve run into trouble viewing, printing out or redeeming an e-Gift from AMEX recently, you’re not going crazy. It’s very likely that American Express’ system could be the problem.